Weather is often a material factor in accidents and mishaps, but proving causation can often be problematic. Data-driven Forensic Meteorology isolates the signal from the noise of everyday weather. Douglas relies on an extensive database of sources and methods to research weather for a specific day or event, helping to connect the dots and paint an accurate picture of what really happened. Consulting services include research and a final White Paper, including text, maps and supporting links and sources. Our weather is becoming more extreme – Douglas will work with your firm to establish an authoritative narrative for individual cases with weather exposure. 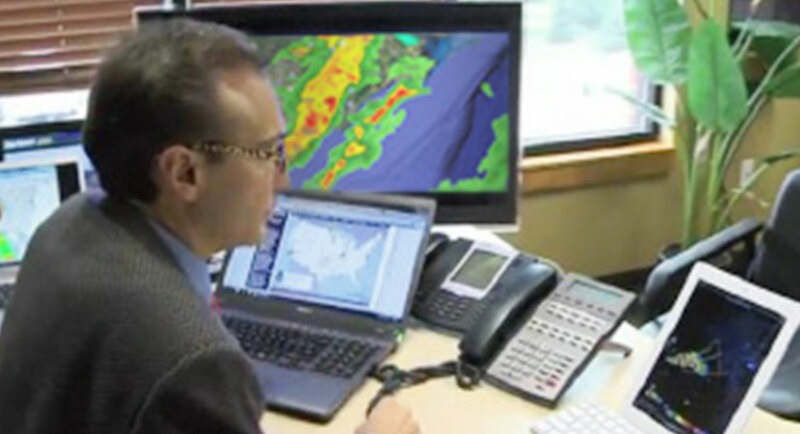 Reduce uncertainty – rely on a Weather Authority. Douglas has worked with law firms interested in weather discovery. Consulting includes extensive research and data-driven White Papers that can help your clients understand the meteorological factors material to their case. We were able to get what we needed from Paul Douglas’ report and video presentation. We had a dispute whether a hail storm cause damage to a townhome association, and because of the research and presentation put together by Mr. Douglas, we were able to establish the hail event. Paul Douglas and his team were able to use cutting edge technology to allow us to present hail damages to a townhome association in which all standard evidence showed the storm missed the property by 3 miles. Mr. Douglas and his team were able to prove that the wind patterns in the storm allowed hail to come off the back of the storm and physically land at the property, 3 miles from the established radar images. Without Mr. Douglas’ presentation we were unable to establish there was a hail storm at the property. With Mr. Douglas’ presentation the homeowners received a 6-figure payment on their insurance claim. Paul Douglas can utilize his meteorological and broadcast skills to deliver an outstanding expert report. Mr. Douglas is, of course, a well-respected meteorologist. Mr. Douglas can convey complex information about storms in a format that is accessible for any decision maker. A jury, arbitrator, appraiser, or mediator can easily understand his reports. At the same time, Mr. Douglas knows how to supply ample evidentiary and scientific data to support his position. He is an outstanding expert who we will be pleased to consult with in the future.